Eclectic meets classic. Vintage meets contemporary. 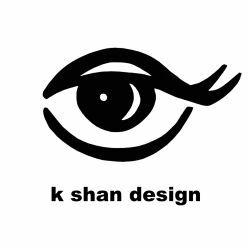 K Shan Design will mix and meld your old with your new, giving your home a completely reenergized and personalized ambience. California created, Kelly was born in the classic craftsman town of Pasadena, yet raised in the artsy, coastal town of Laguna Beach. Other than SoCal, she has lived in Boulder, Colorado and San Francisco, and has spent time abroad in Australia and New Zealand. Beyond growing up in Laguna Beach, her here-and-there tropical pops stem from her parents living on the Big Island of Hawaii. An avid searcher, shopper, bargain hunter, flea market nabber, and vintage gatherer, Kelly will help you clean house and find all missing pieces for your home. She embodies a budget conscious mindfulness, because she believes that hiring a designer should be attainable for almost any budget.